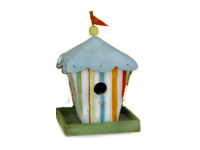 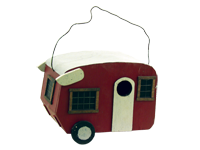 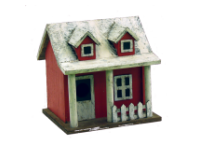 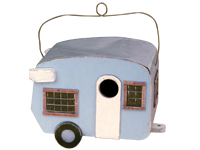 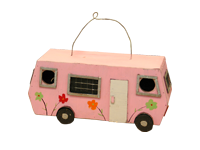 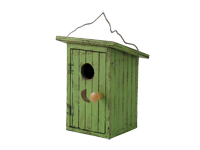 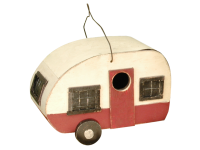 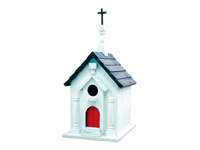 The mother-in-law suite camper birdhouse is one of our all time best sellers - any surprise! 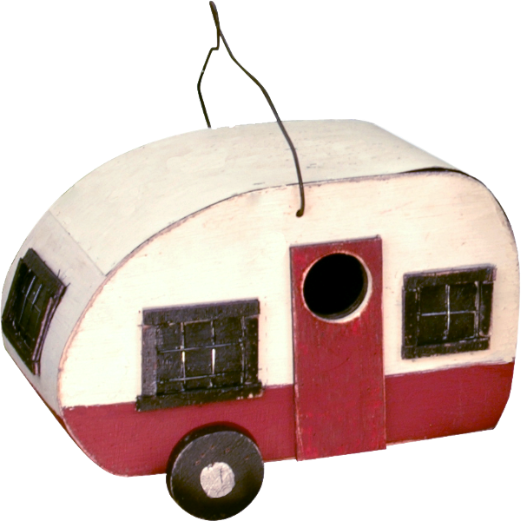 We made this just a bit smaller than our other camper birdhouses. 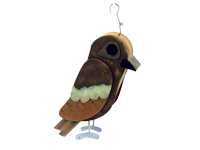 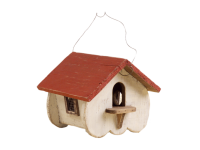 It's perfect for the visiting mother-in-law bird! 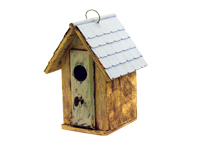 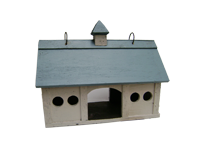 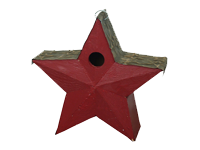 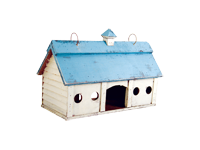 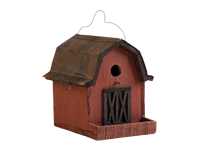 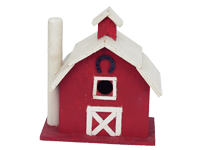 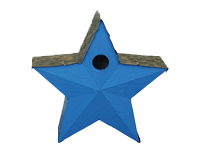 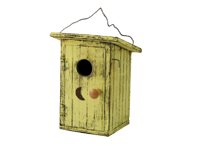 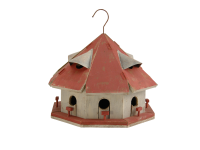 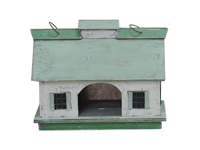 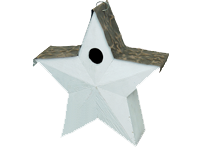 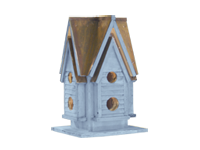 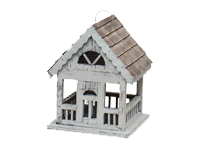 This bird house is made of wood with a metal roof, can be hung, and includes a trap for quick cleaning. 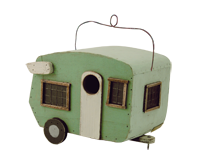 If you live in the UK or Europe, you can purchase the Mother-in-law Suite (Caravan) at Firebox. 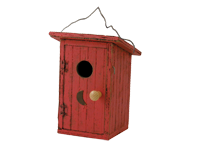 The world famous Mother-in-Law Suite birdhouse in action!